Famous for nightlife venues on Ibiza and Mallorca, the Spanish Balearic Islands are popular among those seeking an exciting and glamorous vacation. However, there’s plenty more to the four main islands of Mallorca, Ibiza, Menorca, and Formentera, including fascinating archaeological sites, quaint old towns, and stunning wildlife. The largest of the Balearic Islands, Mallorca has a whole host of things to do and see. 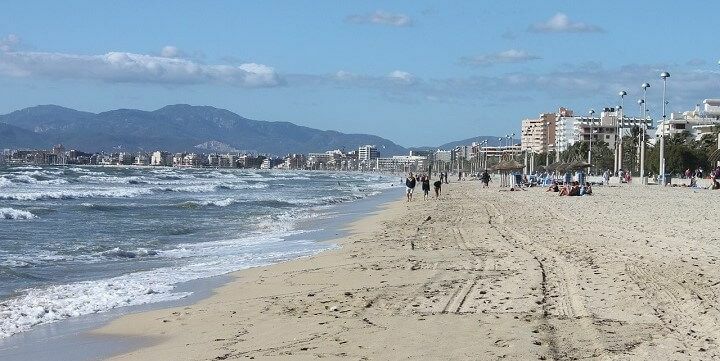 Start by visiting the C’an Pere Antoni beach, just a short walk from the center of the capital, Palma de Mallorca. The beach clubs at either end make this a particularly busy spot, so head South for Es Calo des Moro if you want something more secluded. The rocky climb to the beach is tough, but worth it for the peaceful atmosphere and clean sand. Mallorca is the largest of the Balearic Islands. 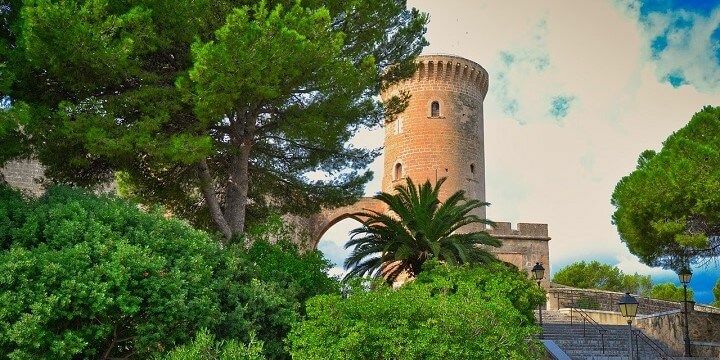 Head away from the coast to explore Mallorca’s historical sights. Bellver Castle, for example, is one of the very few circular castles in Europe. It sits on top of a picturesque, pine-forested hill and offers regular concerts and fascinating exhibitions. Bellver Castle is one of the very few circular castles in Europe. Alternatively, check out the Roman ruins in Pollentia, which date back to 123 B.C.! This was once the capital of the Balearic Islands, and is now home to a well-preserved theater, forum, and museum. For a more vibrant atmosphere, head to the island’s capital, Palma de Mallorca. The Old Town offers archways, medieval churches, squares, and excellent restaurants and bars. Palma de Mallorca is the capital city of Mallorca. While there, be sure to buy a Mallorcan basket as a souvenir and try an ensaimada pastry from a bakery. With a world-famous nightlife scene, Ibiza offers fantastic clubs in San Antoni. You’ll find renowned venues dotted around the city, as well as busy waterfront bars along the popular Sunset Strip. Many of the beaches themselves have bustling bars, such as the glamorous Las Salinas. If you’re after a more laidback sandy stretch, head to Cala d’Hort, where you’ll also get great views of Es Vedrà, a rock that rises 400 meters out of the sea. The Balearic Islands are home to countless beaches. It’s well worth spending some time in Dalt Villa, Ibiza Town’s Old Town. Located on a hilltop, this area offers gorgeous panoramic views from the fortified town, as well as cobbled streets, galleries, museums, and small shops and restaurants. If you prefer natural beauty to city life, check out the Aquarium Cap Blanc, located in an old cave. You’ll get the chance to see lots of rescued sea turtles, who are cared for before being released back into the wild. Schedule plenty of time to explore Menorca’s scenic coast. 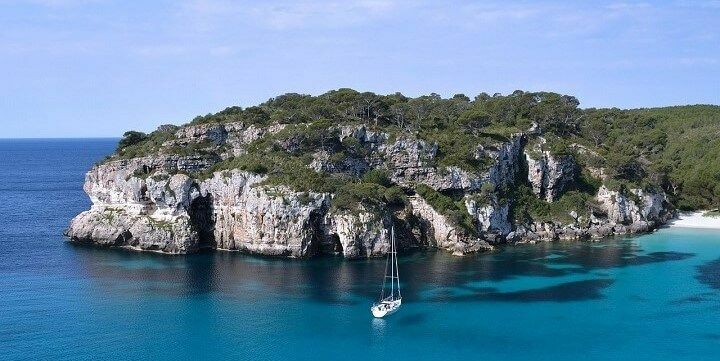 Cala Galdana, for example, is a crescent bay, with white sand, and pine-topped cliffs. It does get very busy, so head to Cala Turqueta Beach for a quieter stretch with great snorkeling and cliff jumping opportunities. Schedule plenty of time to explore Menorca’s scenic coast. There’s even more natural beauty to explore in the S’Albufera des Grau Nature Reserve. With 50 square kilometers of marshland, forests, dunes, and cliffs, the reserve offers plenty of peace and quiet among beautiful flora and fauna. Head to the island’s capital, Mahon, for its picturesque port. 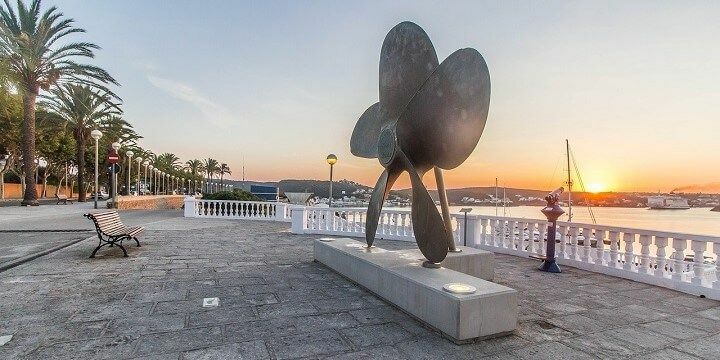 Enjoy the gorgeous view out to sea and back over the town while eating in one of the port’s traditional tapas restaurants. Mahon is the capital city of Menorca. If you’re looking for a quainter neighborhood, head west for the Ciutadella. This older town is full of cobbled streets, open plazas, small shops, and food spots. Formentera is located just six kilometers from Ibiza, but couldn’t be more different from its neighbor. This small island was much loved by chilled out stars like Bob Marley and Jimi Hendrix, and is still as laidback as ever! 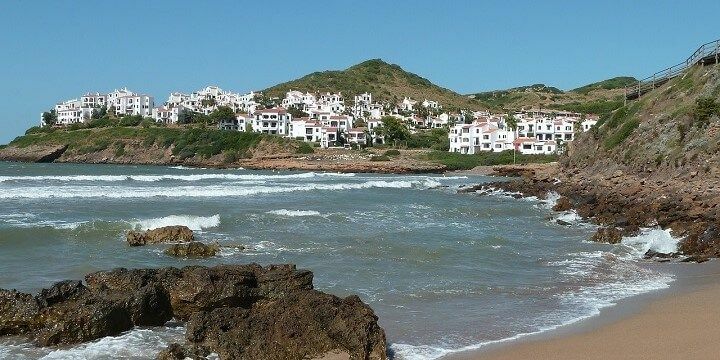 The most popular beach is the six-kilometer-long Platja de Migjorn; however, Playa De S’alga, which is only accessible by boat, is much better for a more secluded escape. Formentera is located just six kilometers from Ibiza but is very different. Ses Illetes makes for a nice middle ground: with just a few seafront restaurants, this beach is peaceful enough to enjoy the pink coral that washes up on the white sand from the glistening turquoise water. I stayed a week on Mallorca with my family and it was great! We spent a lot of time at the beach but also explored the island a little bit. 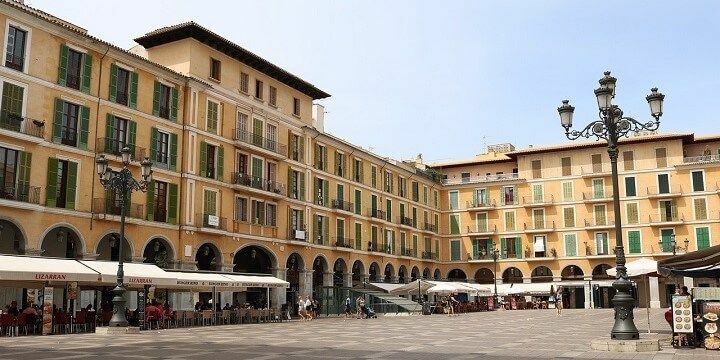 Palma is a great day trip! Unfortunately, it gets very busy during high season, so if possible you should come here in spring or late summer.